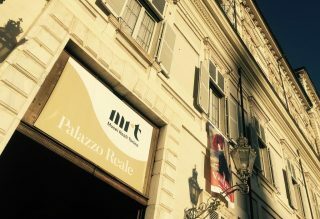 Fondazione Santagata is working (from December 2018 to June 2019) on a Business Plan for the rationalization of costs and revenues of the Royal Museums of Turin for the three-year period 2019-2021. The Royal Museums of Turin, resulting from the unification into a single compendium of the Royal Palace, the Royal Armory, the Royal Library, the Galleria Sabauda, the Museum of Antiquities and the Royal Gardens, constitute with their capital of architecture, collections and services to the public, one of the largest museums in Europe. In 2015, with the Franceschini Reform (D.P.C.M. n.171 of 29th August 2014) and the establishment of the new Museum’s Management, the Royal Museums started a process to renew the management plan. The aim of the Business Plan is to define a rational and sustainable management model for museum resources. The project is commissioned by the Royal Museums of Turin as part of a collaboration with Compagnia di San Paolo. The Business Plan wants to define and provide quantitative and qualitative tools, useful to estimate measures to be taken to rationalize the operating expenses of the museum complex, in terms of lower management costs, improving the general economic performance with the identification of the most relevant actions for the strategic development of the Royal Museums.